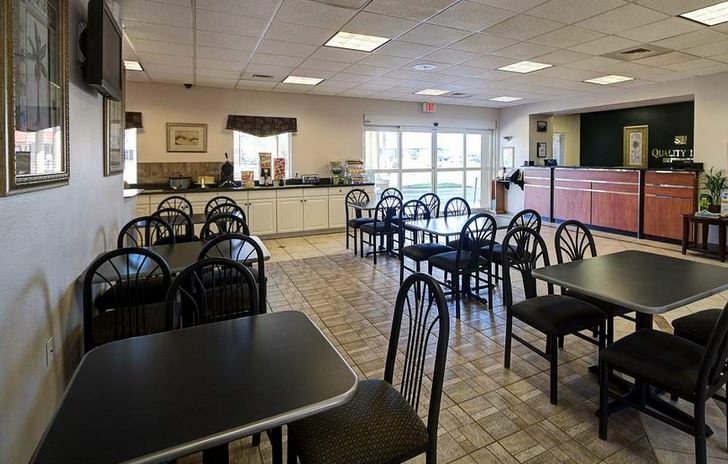 ​Free Breakfast - Our delicious complimentary breakfast is served daily and includes items like waffles, biscuits and sausage gravy, oatmeal, scrambled eggs, yogurt, cereal, fresh fruit, coffee and more! Free Internet - Stay in touch with free wireless internet throughout the entire hotel. Browse, download or chat without worrying about slow streaming or buffering. Pool - Take a dip in our large tropical pool with rock features and waterfall. Soak up the sun on our patio furniture or enjoy the view from under a shaded cabana. High-Def TV's - Our new 32 inch flat screen TVs will provide high definition entertainment with movie channels available. Pet's Welcome - We welcome fluffy friends and have designated pet rooms as well as many grassy open spaces to walk your pet. A small fee applies. Business Center - If you need to access the internet you can use our lobby business center which is available 24 hours a day. 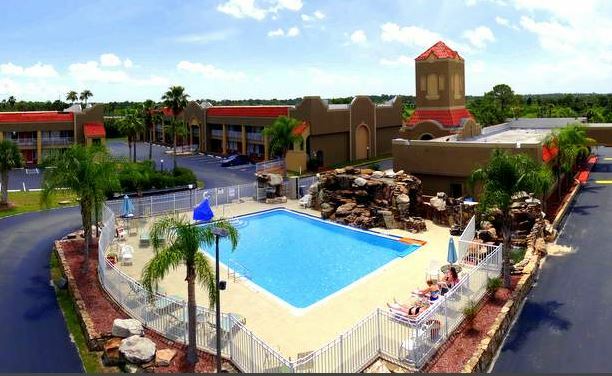 Free Parking - Our hotel provides ample parking for cars, trucks, trailers and semis. Parking is free and you can park right in front of your room. Choice Privileges - Stay often? Enjoy rewards! Choice Privileges allows you to earn points towards a free stay faster than any other hotel chain. Free Newspaper - Start you day with a free breakfast, free hot coffee and a complimentary newspaper provided in our lobby. Onsite Laundry - Our guest laundry facilities are available 24/7 for families, sports teams and individuals on the road. Charging Stations - No more fumbling around looking for available outlets as we have charging stations in all rooms. Charge several devices at once right at your nightstand.